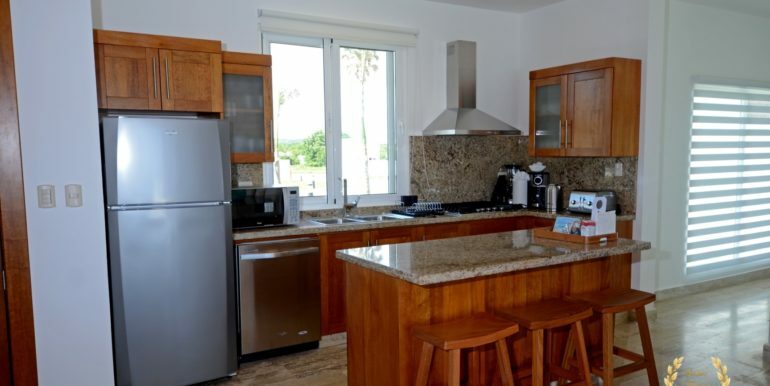 Imagine waking up to a pleasing view of the Atlantic Ocean, take a walk along the ocean cliff jog trail, and stop at the VIP Club for a warm coffee and breakfast. 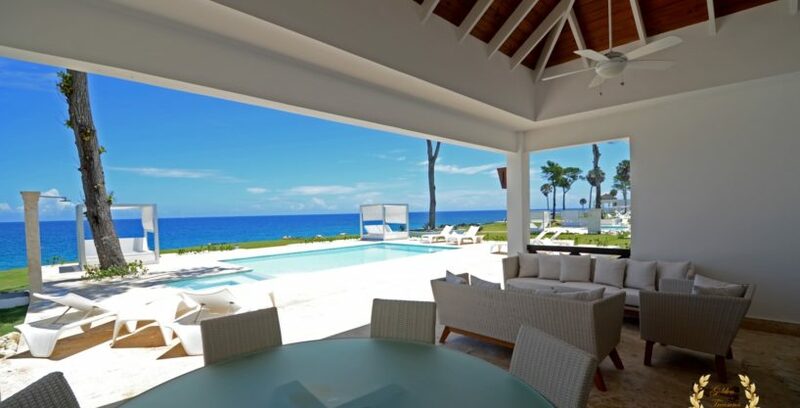 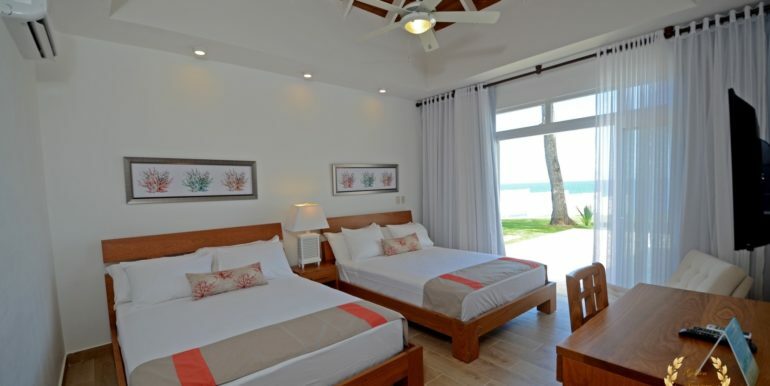 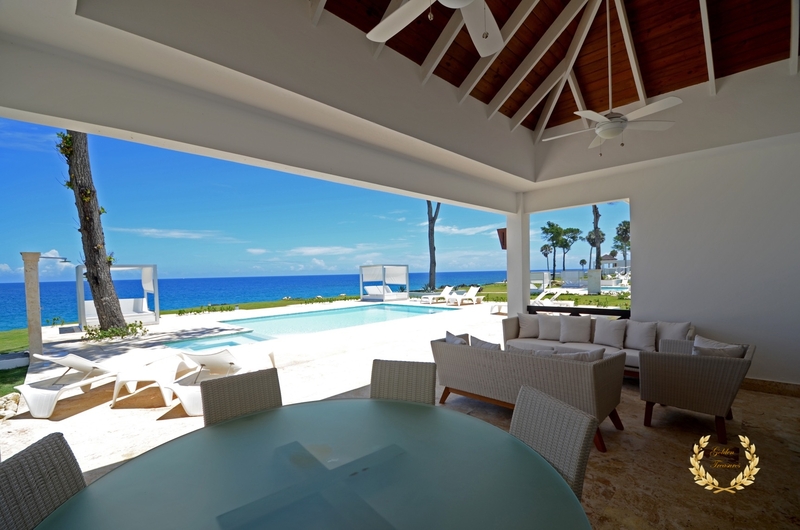 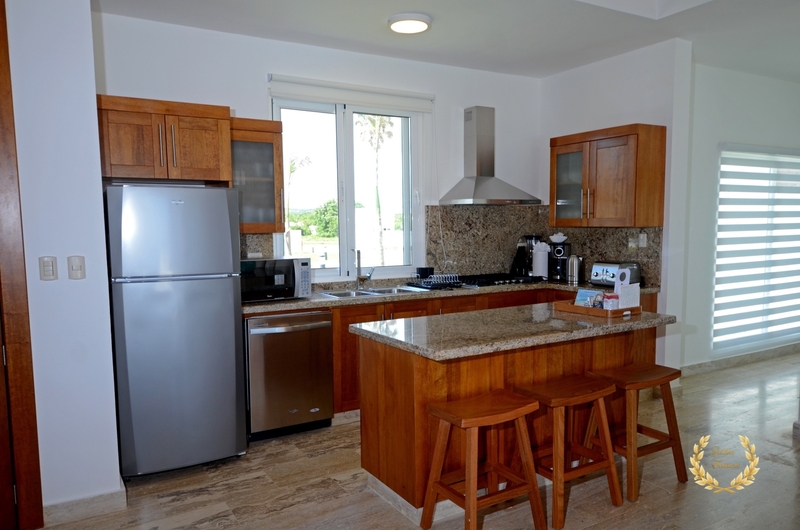 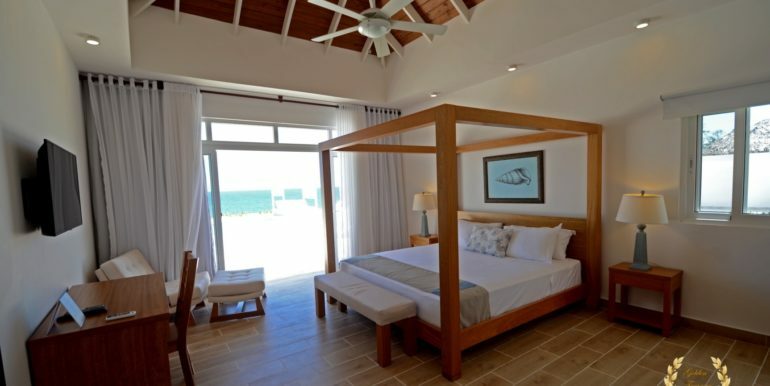 This oceanfront villa rental provides that and more, set in a gated community by the ocean, offering a complete set of amenities that include beach access, gym, waterpark, kids play zone, spa, restaurants and various beach coves for relaxing with friends and family. 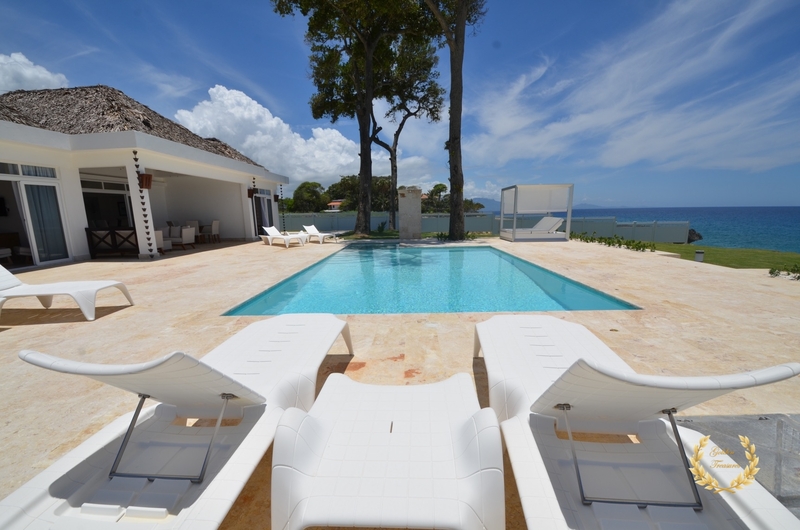 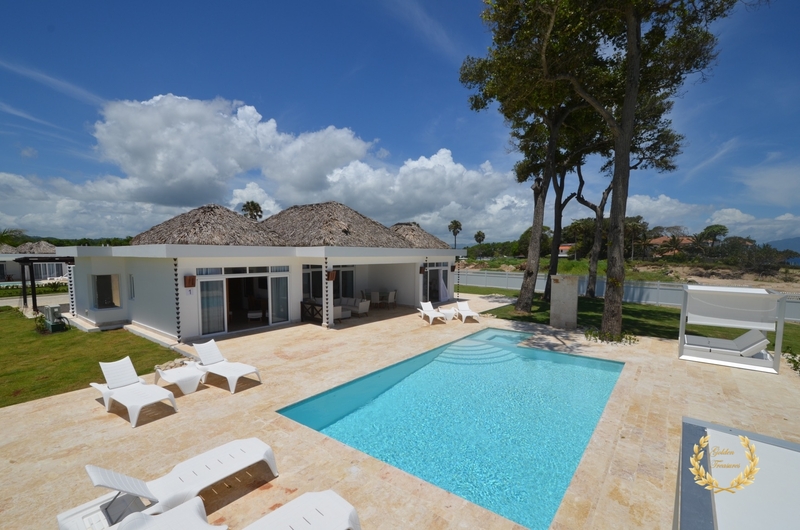 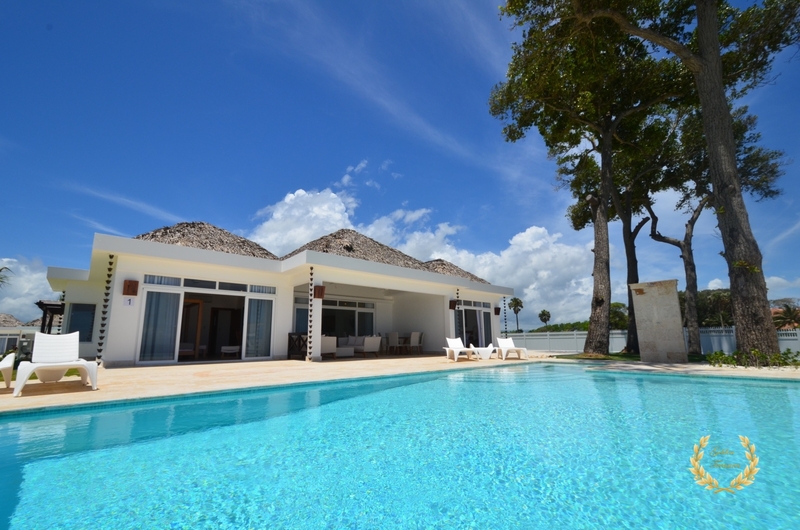 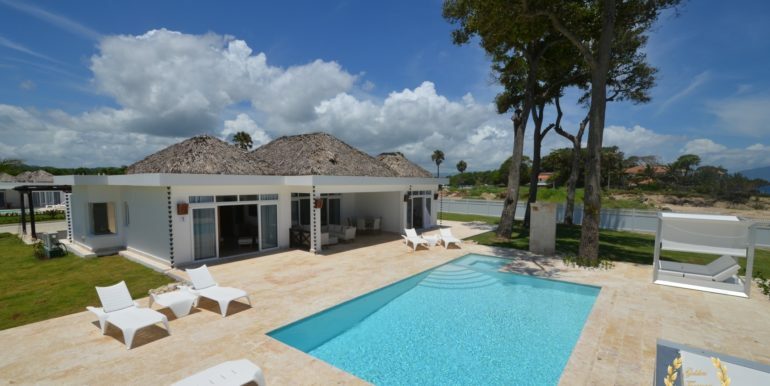 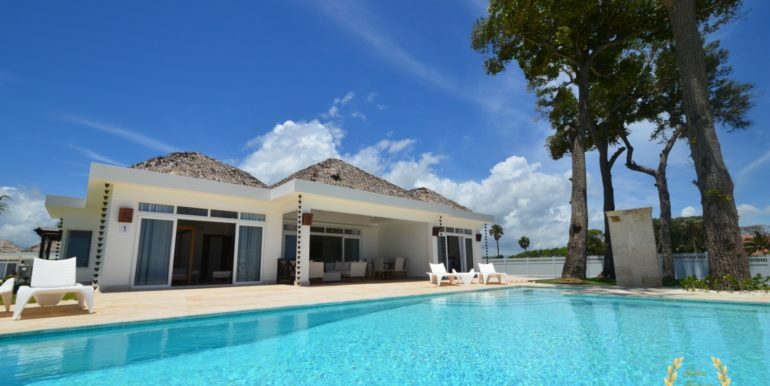 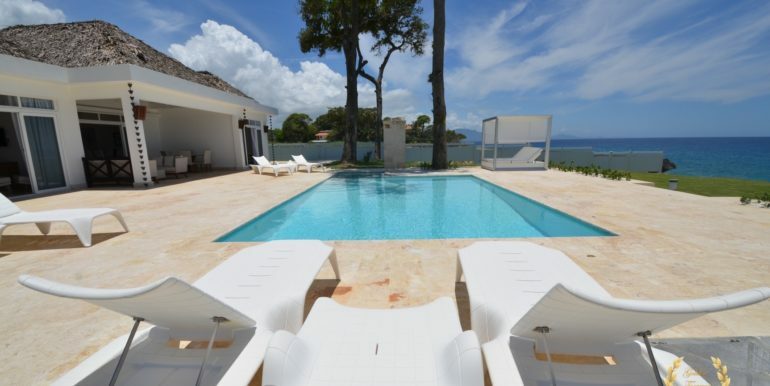 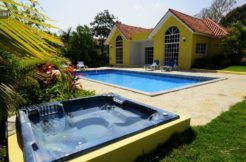 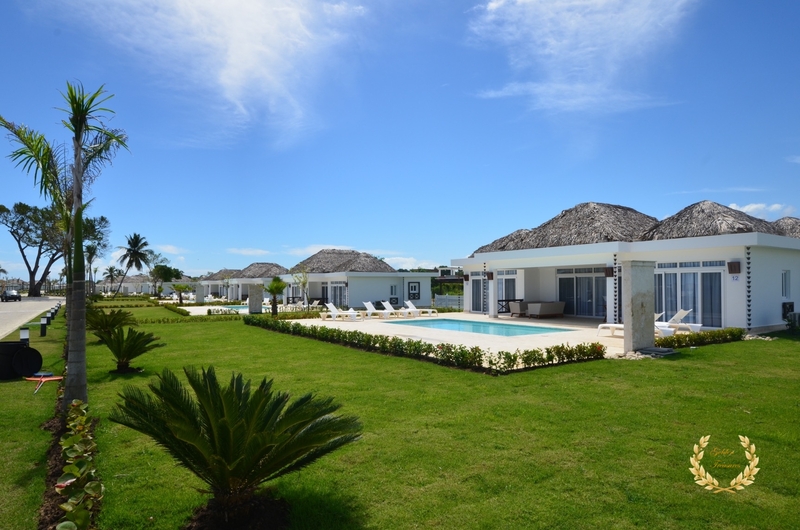 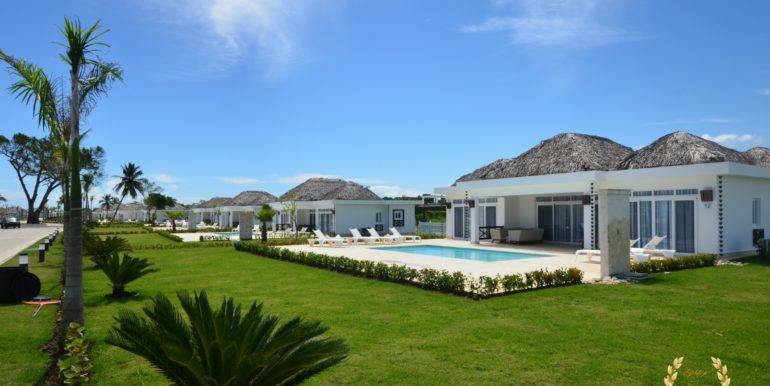 The villa is a one story casita of the classic style that started the private villa revolution in the Dominican Republic. 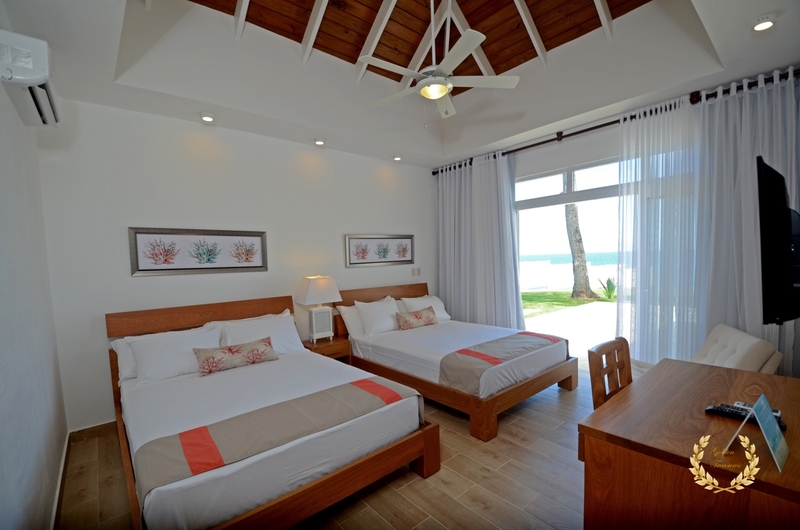 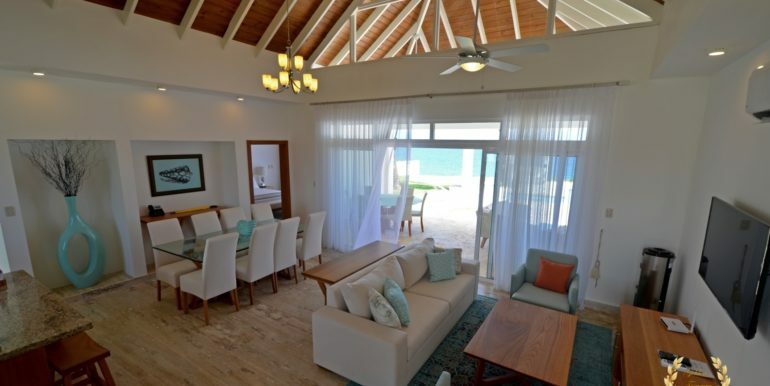 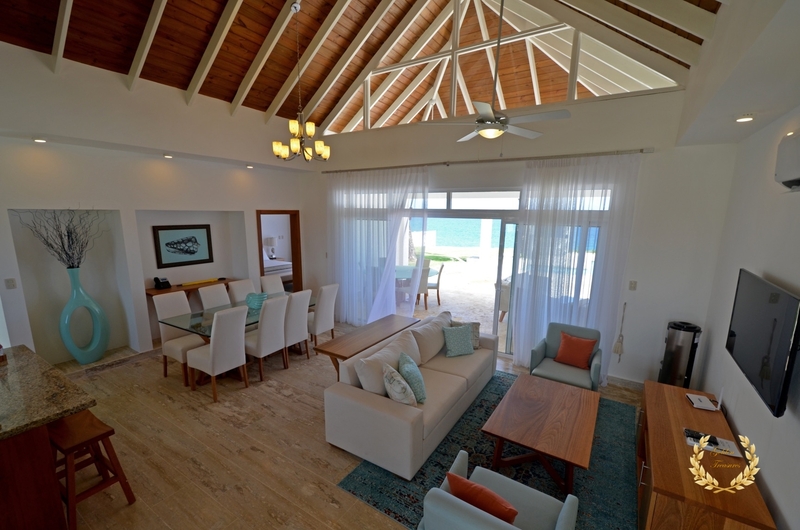 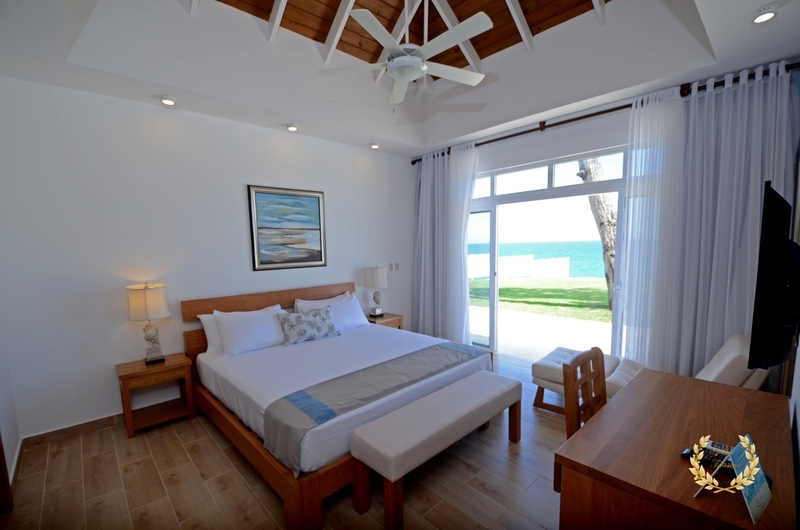 Its floor plan distributes three bedrooms and three bathrooms around a centered living room with tall wooden ceiling; a custom design luxury kitchen, dining area, media area and a veranda with splendid ocean views. 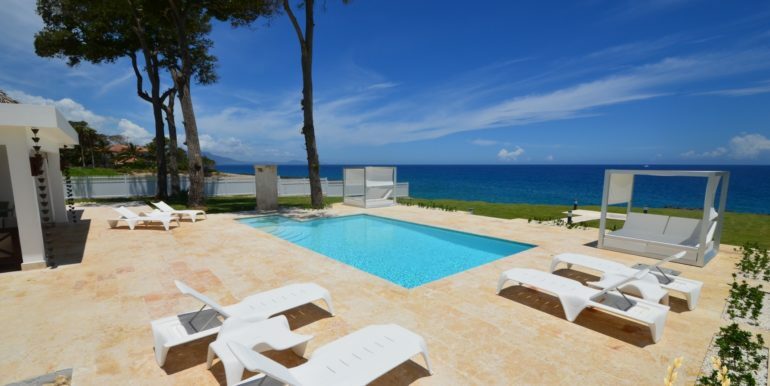 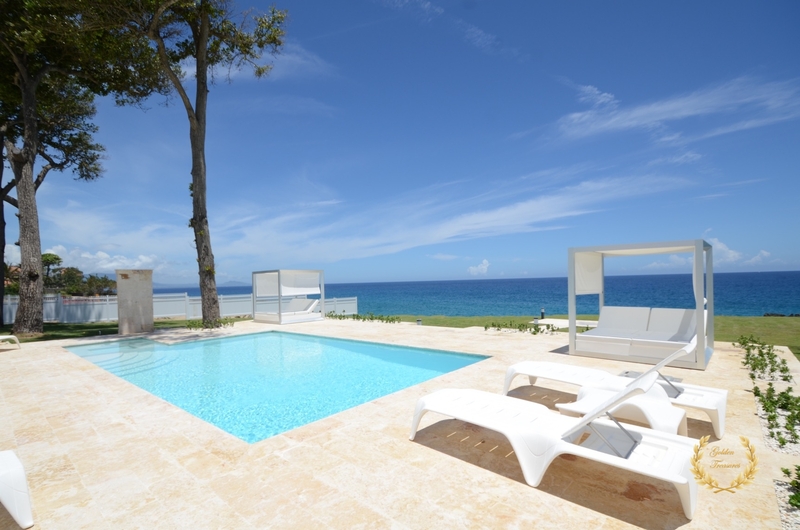 Outside, the private swimming pool sits meters from the ocean shore, with awesome vistas. 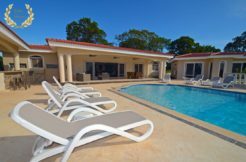 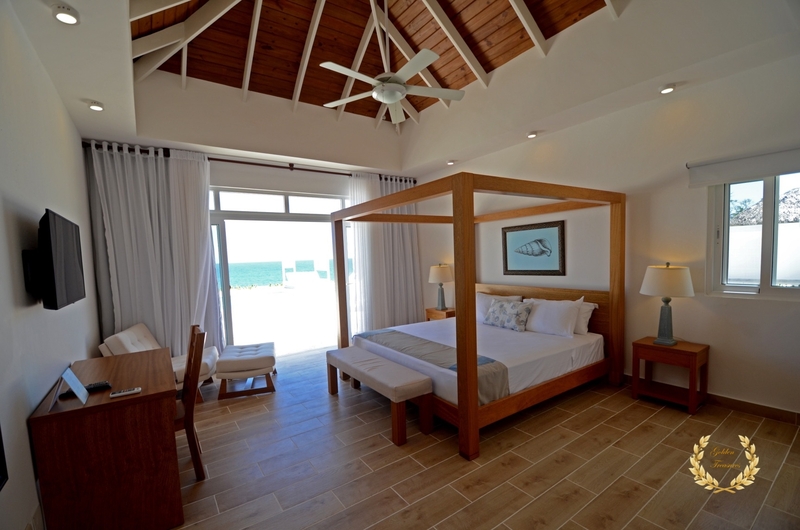 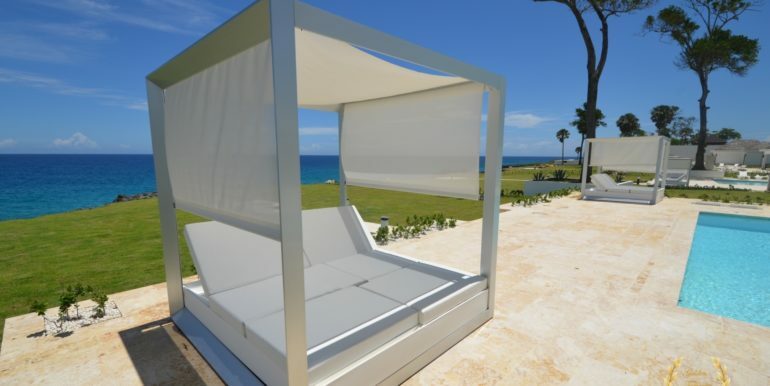 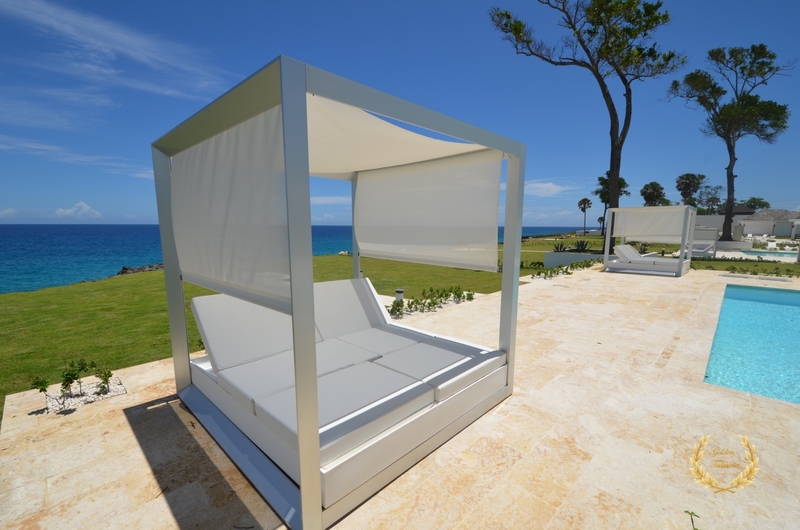 Sun beds by the coral stone deck complement the deluxe chaise lounges by the swimming pool, and the veranda lounge and dining furniture add an ideal setting for enjoying the outdoor in the shade if too sunny for a guest. 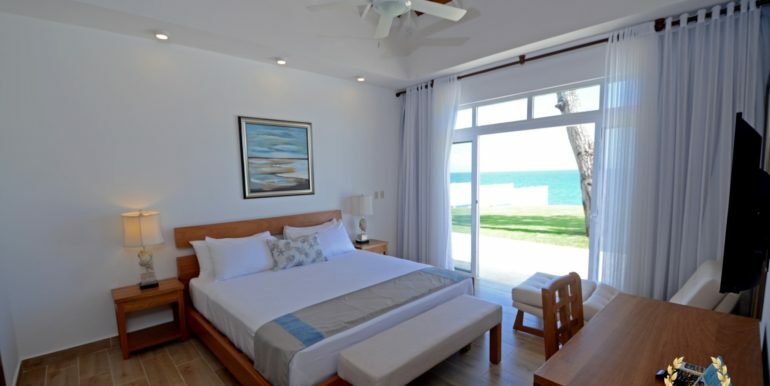 Each suite is finely decorated and includes A/C, TV, ceiling fan, blackout curtains, linens, towels, side lamps, safe deposit boxes and cedar-lined closets. 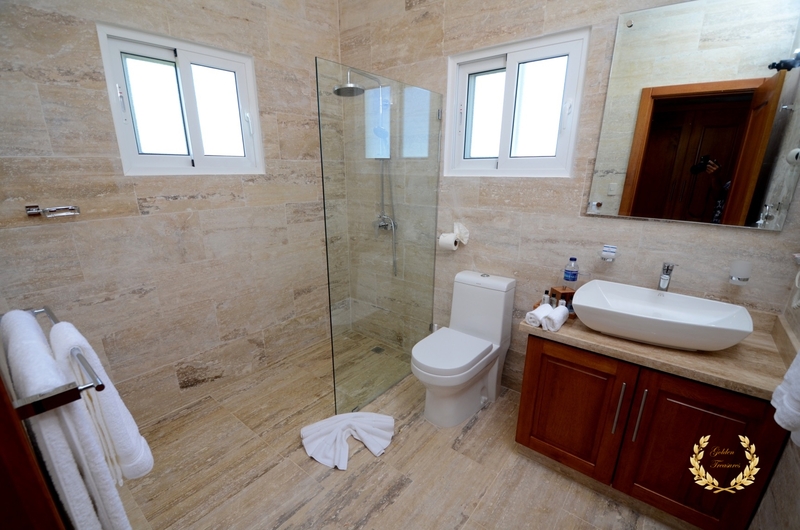 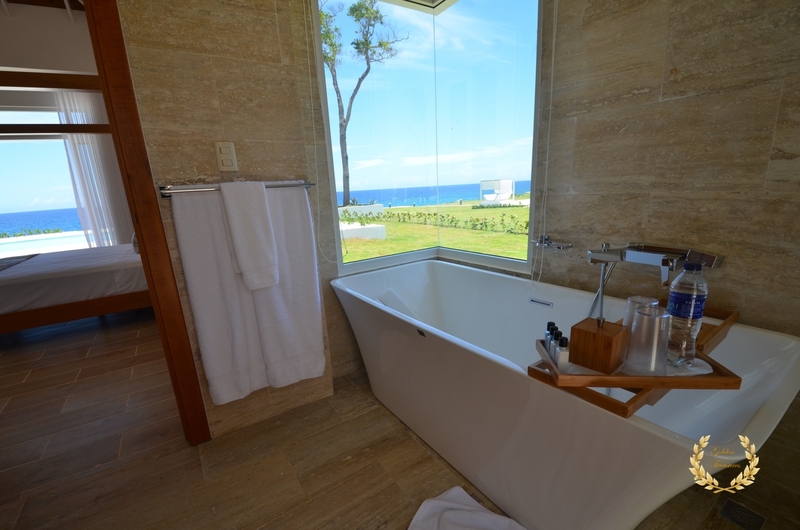 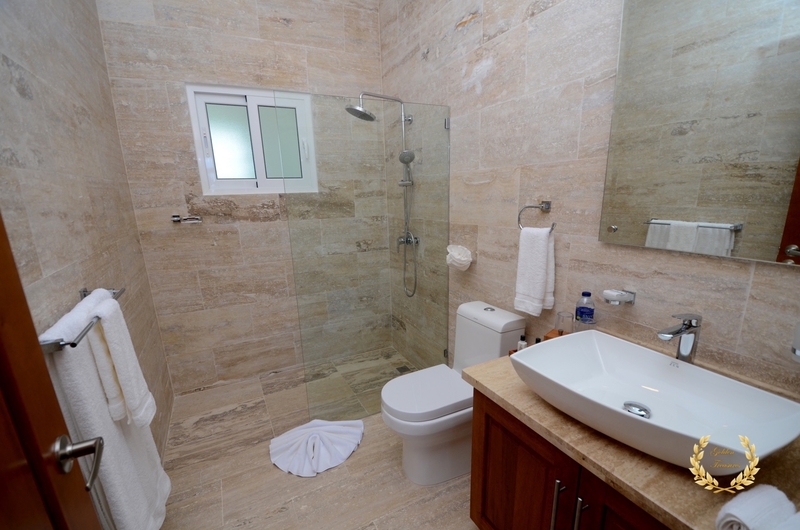 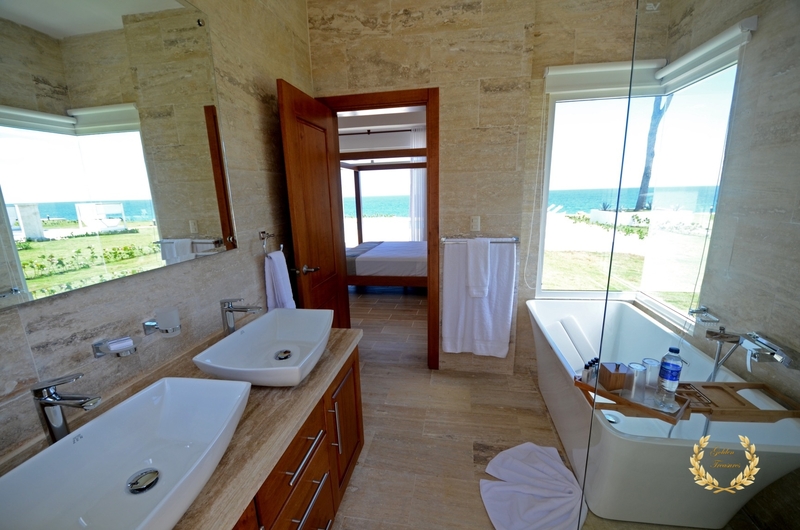 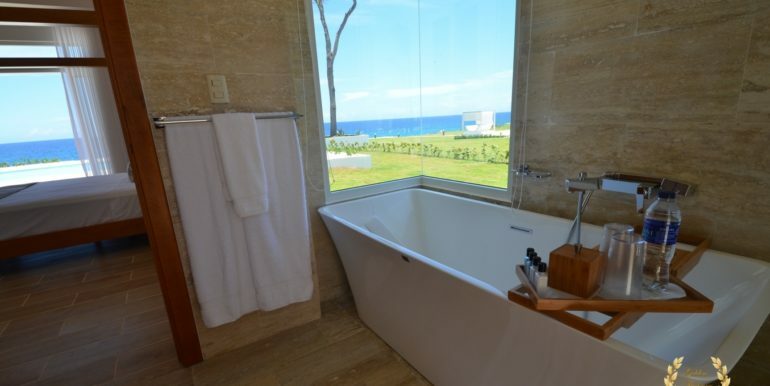 The main suite bathroom includes double vanities, a fine retro-style bath tub and ocean views from the user perspective. 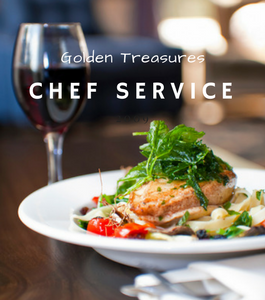 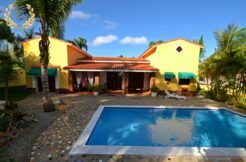 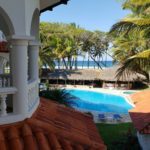 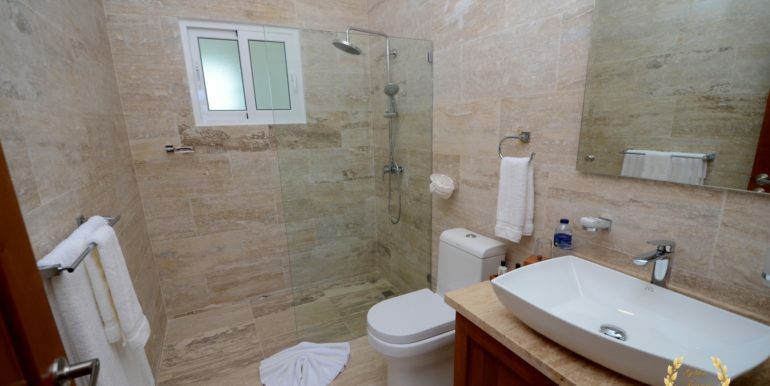 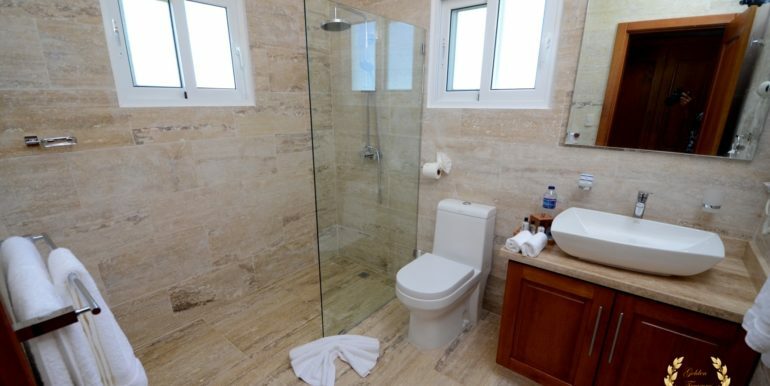 The villa is located just 5 minutes away from the center of town and Sosua Beach, and about a 7 minute drive from Cabarete. 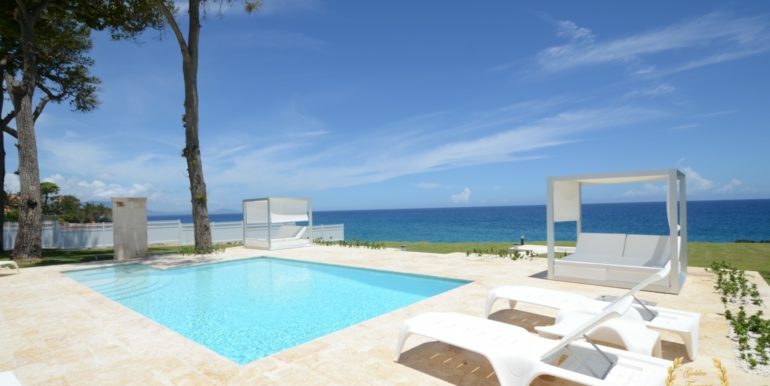 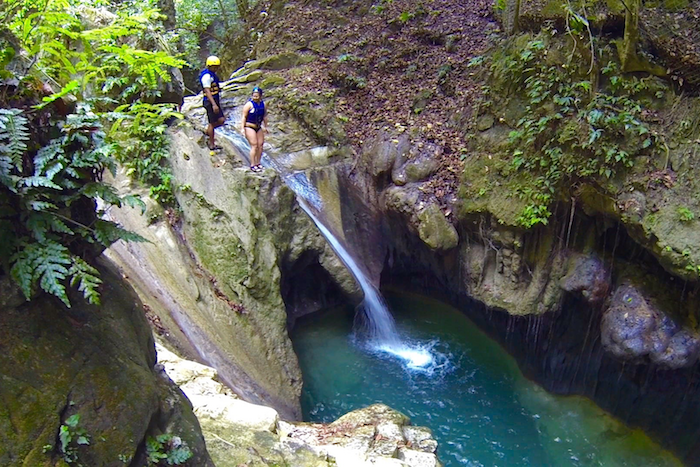 Sosua fishing tours available via the concierge.